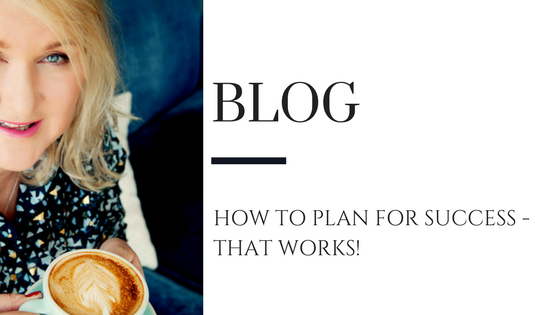 You’ve heard it, I know you have – the old age and classically overused quote “Fail to plan, you plan to fail.” But really it is relevant now? Isn’t it more about a dynamic cocktail of planning and execution. There is little point having an awesome plan, beautifully nurtured, colour coded, project managed if there is no execution! So don’t be an overthinker – it doesn’t have to be perfect – it just has to get done! It’s all about taking imperfect action! This is something I teach all of my coaching clients. If you don’t plan, you’re inviting failure into your life. Planning should be done on both a short term and a long term basis with a killer execution plan to give you the best chance of success and for maximum impact. When is best to plan? Different people have different strategies for their planning. For me, I love nothing more than an early morning planning session. When my mind is fresh and revitalised after a good nights sleep. If you’ve spent an intense day at your laptop, the last thing you’ll want to do at the end of the day is create a strategic plan for your business. It requires brain power and determination, so play on that and ensure your brain is fully fuelled for the session. What’s the best way to plan for you? My clients know I love nothing more than an A2 notepad and a fresh pack of Sharpies. It’s the method that works best for me. Getting everything down on paper, colour coding and seeing my plan coming into action. It works for both my own planning and planning with my coaching clients. It helps get everything out of the head and then you can formulate a killer plan. I’d recommend experimenting a few different methods until you find your groove. What should your plan contain? You MUST write your plan down. Keep it in a safe place, so you can check your progress on a regular basis. If you have one mega goal, for example a sales target that you’d like to hit within 6 months, write it on a piece of paper and put it somewhere you see EVERY DAY. Next to your laptop, on the fridge, set as a reminder on your phone. The subconscious of seeing it daily will really drive you on, spurring your determination and keeping you on track. Trust me, it works! When will you work on your goals? Set aside 30 minutes per week to ensure you’re on the ball with your plan and working towards (and totally smashing) those goals. If you haven’t quite got there with the goal smashing, critically analyse why not and make a plan to hit that target next week. If you don’t set aside that time, you’ll be amazed where the week disappears to and you’ve suddenly not worked on them since you set them 4 weeks ago. Make a little note in your diary of your ‘goal working’ session and stick to it. You got this! Keep acting, keep smashing and keep setting. As you work through your plan, smashing those epic goals you set, it’s important you keep setting new ones. Always have a plan and a goal for the coming month and for the next 3, 6 and 12 months so it continually rolls over. Don’t wait until month 12 to set a whole new plan for the coming year. Your plan needs to be agile, fluid and flexible to suit the changing nature of your business and your growth. It’s continual development that will ensure business growth and plenty of success. A plan is a guide to help you grow your business brand and become more successful. It’s like a piece of work, it needs tending to and your input in order to thrive and become a awesome success story.